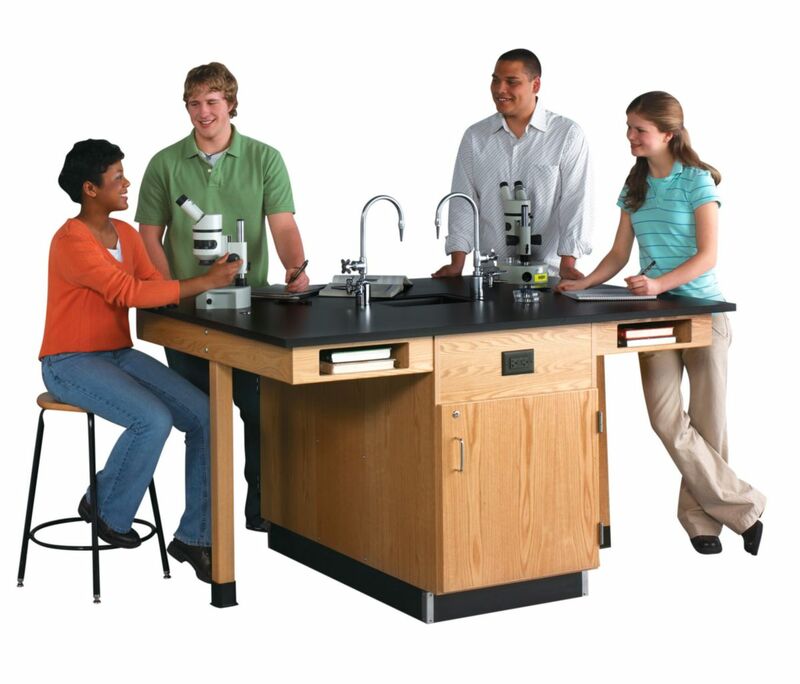 This one table provides a fully equipped lab center for up to 4 students, in a choice of configurations to fit your needs. Each unit is constructed of solid oak, oak and hardwood veneers with a 1" (2.5cm) black epoxy resin top and rubber base molding, and measures 66" L x 48" W x 36" H (167.6cm x 121.9cm x 91.4cm). Each unit also features 2 GFI-protected AC receptacles, 2 rod sockets and 2 book compartments. 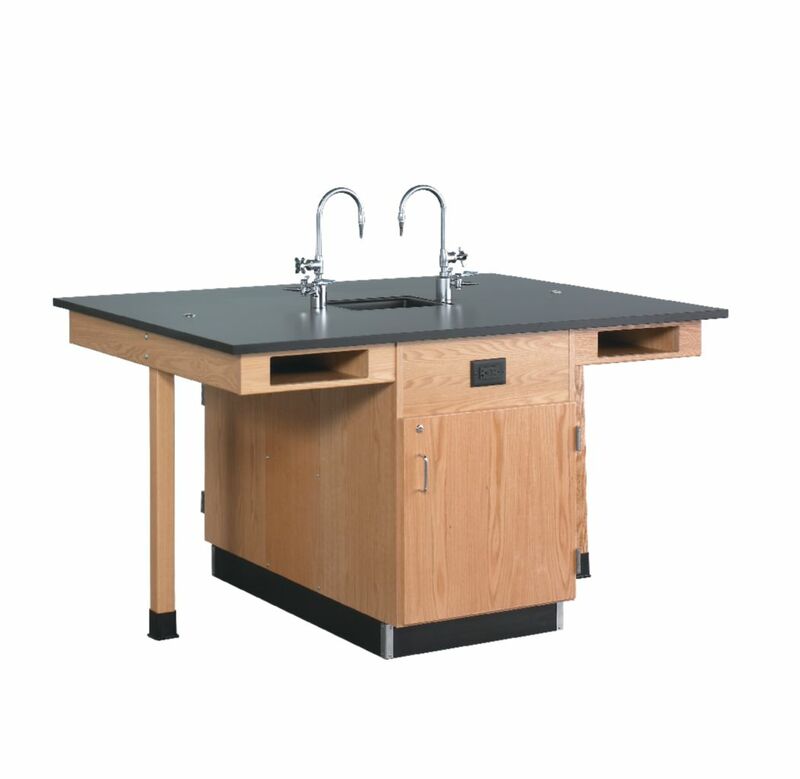 We offer models with a flat top and ones with a solid epoxy resin sink and 2 multi-service fixtures. You can also choose from models with a full cupboard only or with a half-cupboard and 4 drawers. All drawers and doors lock. Item #77003-35 includes (1) sink and (2) multi-service fixtures, and a cabinet. Item #77003-36 is a flat topped model, and comes with four drawers and a cabinet. Item #77003-37 is also a flat topped model and comes with a cabinet only.